Pictured, from left, Audrey and Andrea Leestma search for books at the Friends of the Library book sale. WARSAW — It is said that the library is everyone’s university. For a library, just like a university, is a promoter of knowledge. Libraries are major sources of information for society and they serve as the guardians of the public’s access to information. They have a role as an impartial source of information and ideas, providing free and unbiased access for the community. Andrew Carnegie promoted the idea that knowledge should be free and is a basic human right. The public library has a key role in gathering, organizing and providing resources and services in a variety of media to meet the needs of individuals and groups for education, information and personal development including recreation and leisure. Home schools, for example, depend on the library to provide assistance. A public library has a special responsibility to meet the needs of children and young people. In order for people to govern themselves responsibly, the people must be well informed. The freedom to communicate is a crucial function in a democracy, and no institution makes this freedom more meaningful than a public library. In providing a variety of information, the public library assists the community in informed debate and decision-making on key issues and helps ensure that every American can access unprejudiced information sources. Libraries make available the widest diversity of views and expressions. They serve their entire community, from the poor to the wealthy. Libraries are a safe, responsible space for differing opinions. They host programs that appeal to a wide range of interests and age groups, and often use displays to promote topics and events targeted at different segments of the library-using population. 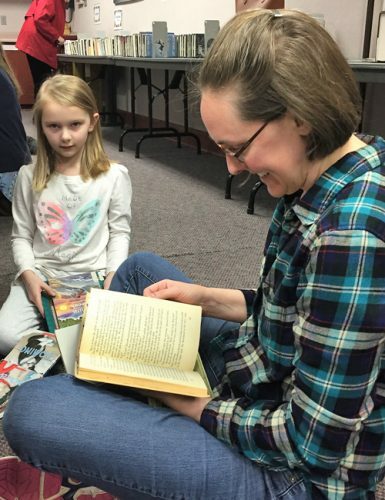 The Warsaw Community Public Library offers a wide range of monthly programs and events for the community. The services that modern public libraries provide not only include the distribution of knowledge but access to services and programs that fill the void in many metropolitan and rural communities. Not all families have access to the Internet. This is an especially prevalent issue in rural communities where internet can be scarce. Did you know that access to the Internet is required to apply for many jobs nowadays? Let us remember that everyone gets a seat at the table. It does not matter what race or ethnicity you are, what language you speak, whom you love, whom you worship or where you are from, libraries are for you.